Though it’s common for artists to verbally explain their working-process, quite rarely do we ever get to see artworks get created first-hand. Mixed-media artist Joey Feldman, who has described his work in the past as “figurative with a frenetic, cartoonish style at their core”, recently got a chance to show the public how he really goes about it when creating a new piece of art in the form of a video posted online by one Jonathan Szanto. 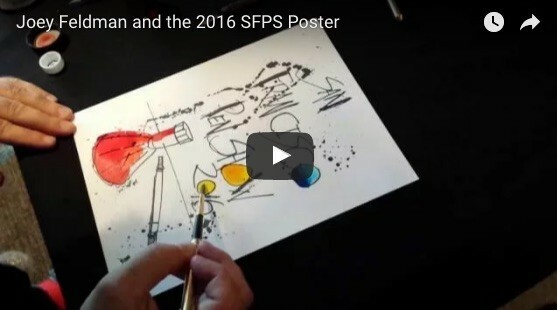 Szanto, who was getting his very own, personalized copy of the 2016 San Francisco Pen Show poster made by Feldman, took the time to document (part of) the making of the artwork while chatting a little bit about the materials being used. Take a look below and be sure to visit Feldman’s official website for more awesome illustrations.